Two subterranean rivers flow over a hundred feet below ground level which made this cave the source of hydroelectricity and drinking water for nearby residents in the early 1900s. Afterwards, pollution and industrial sewage led to its closing. 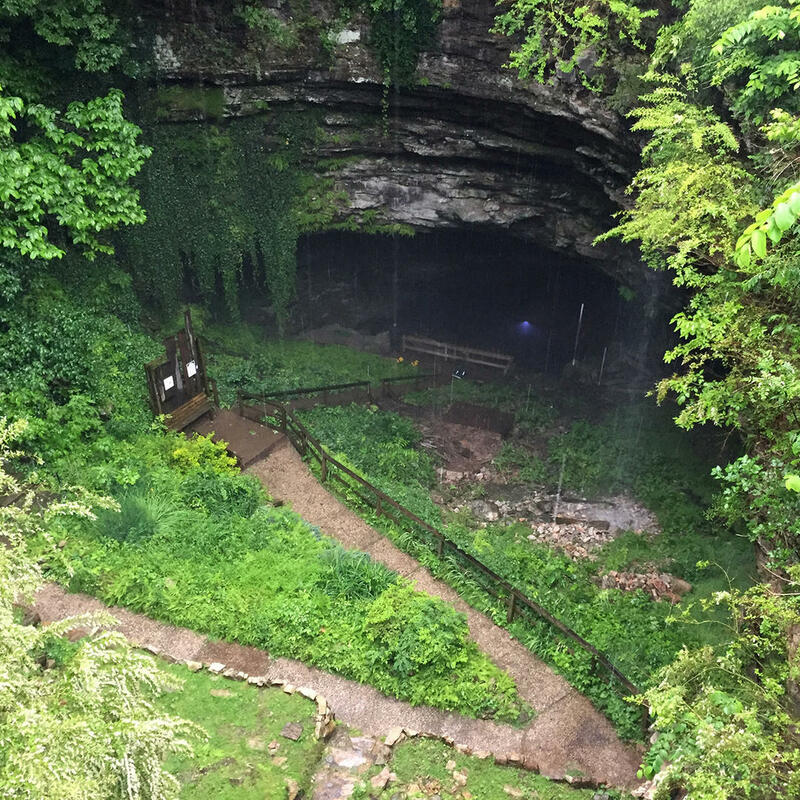 Now a clean and thriving environment, the cave offers many programs such as bat rehab and conservation and three types of tours. Choose from the simple 40 minute guided cave tour, the cave adventure tour, or the zip and rappel challenge.